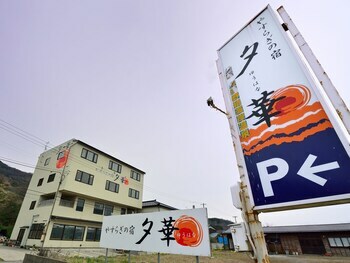 When you stay at Yasuragi no Yado Yuhana in Nagaoka, you'll be near the beach and 7 minutes by car from Saishoji Temple. The front desk is staffed during limited hours. A train station pick-up service is provided at no charge, and free self parking is available onsite. With a stay at this vacation home, you'll be centrally located in Kyoto, convenient to Kyoto National Museum and Kiyomizu Temple. Featured amenities include luggage storage and laundry facilities. Located in Minamiawaji, Kyukamura Minami-Awaji is in a national park, within a 15-minute drive of Gokokuji Temple and Kasuganji Temple. Free self parking is available onsite. A stay at Kasuga Hotel places you in the heart of Nara, within a 10-minute walk of Kofuku-ji Shrine and Nara National Museum. Free self parking is available onsite.